In the framework of the radio conference of the Spanish National Federation, partners from understanding media met in A Coruña in the north of Spain to talk about media education and media literacy courses in Spain, particularly Madrid. 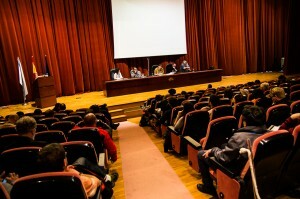 The meeting in A Coruña was set for the 11th and 12th of April 2014 to suit the dates of the national conference of community radios in Spain. The partners discussed the meetings and mobilities so far. Attendees were invited to the Craol Media Literacy Conference to be held in Dublin, the next meeting will be in May in Finland. The partners learned about the workshops they do in Madrid. Due to the economic crisis the lack of funding and support they have used in training as an alternative way to make up funding for the stations. Due to the financial situation it is better to do this work as a collective. In the last few years the community in Madrid have tried to find alternative to this lack of funding, they look to local elements in response to the crisis. Community radio have participated very actively into the new actions that have come out of that social movement. This has also reflected on the training, community media has been incorporated into training of civilians that want to teach and be part of the movement. When they were camping on Civil Square in Madrid, Agora sol Radio was created in 2011 and are still going at the same time as part of the actions in the square incorporated the training of learners in their work and taught how to use second media, not just training but the methodology has changed, not just the content of the training but how we deliver training. Community radios have now changed the training, they are delivering and creating new workshops, there are 3 methods 1. Citizen of Journalism, they take part in the editorial aspect of the news 2. Workshops address specific groups and community radio being more involved with people with disabilities and migrants 3. 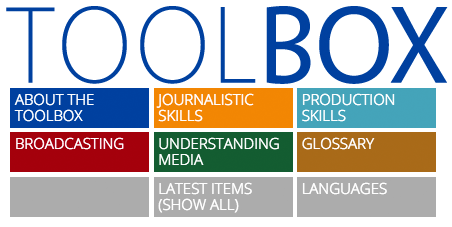 Organise and provide community radio production training on how to produce a radio programme. Specific Workshops The very first groups that they worked with are training young people, it’s a good way to integrate young people in media. Training involves minors and people in their 20’s, it is about social communication and social interaction, it’s a challenge because the kids are of deprived backgrounds. The Youth in Action project where we make radio are creating neighbourhoods, the training is about young people taking over the media, not just radio, IT, Poster Design, taking ownership of the media. They use a methodology that is participative and get kids involved in it, they move work from the usual format and methodology they give them the tools to use straight away so they can familiarise themselves with the equipment which is very participative and get them to talk.